Developed by ARDC (formerly ANDS), the AuScope IGSN Minting Service enables researchers to mint and assign IGSN identifiers to their physical research samples. 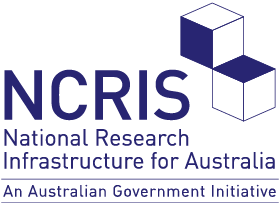 It’s a free service for the Australian earth science research community and may be used to assign IGSN identifiers to rock, soil and sediment samples. The IGSN identifier can be referenced in laboratory databases, libraries and published papers for the benefit of related research projects in the future. To access the ANDS IGSN minting service users are required to authenticate via the Australian Access Federation, AAF. Individuals can access the service through their institution’s affiliation with AAF. A minimum set of metadata must be provided to mint an IGSN. Users should note that providing additional descriptive metadata will increase the potential for discovery, reuse and citation of the registered sample. Users of the ANDS IGSN minting service should understand that ANDS does not manage the IGSNs nor the samples they identify; it only provides the infrastructure to allow minting, resolution and updating of IGSNs. It is the responsibility of the user who minted an IGSN to ensure it is kept resolvable, and the metadata associated with a IGSN is current. please refer to the ARDC website.